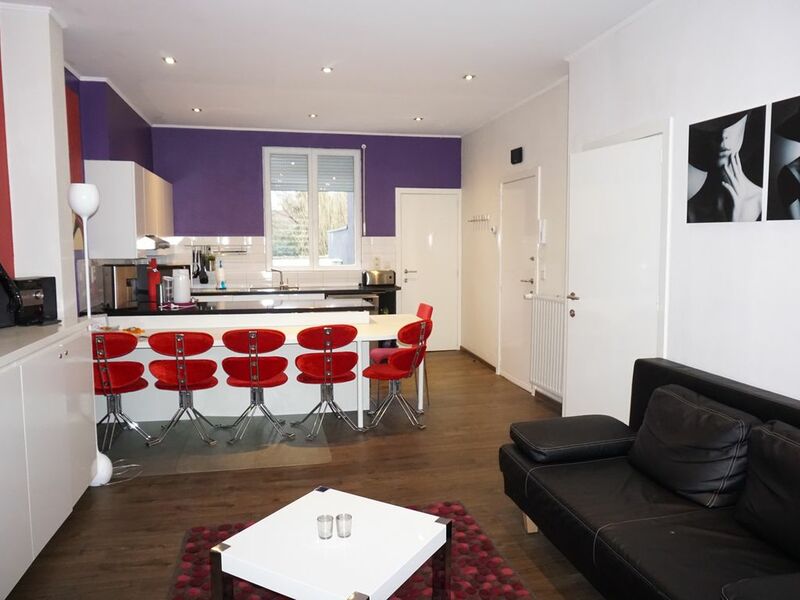 This apartment has a well equipped open kitchen looking over the living space, a bedroom with queensize bed, and a second bedroom with two single beds. The fifth person can use the comfortable sofabed in the living room. The bathroom has a rainshower and towelheater. Free Wifi. The apartment is located on the first floor (no elevator) in a quiet neighborhood, but only 750 meters from the city center. Close to public transport, direct tram to Station, from where you can reach most Flemish towns within the hour. Good location Fully equipped kitchen No need for a car, but if you come by car, parking in our street and surrounding streets only costs 6 euro per day. La localización es muy buena, cerca del centro, zona muy tranquila y bien comunicada. La casa muy agradable, muy bien equipada y Christine facilita la estancia.